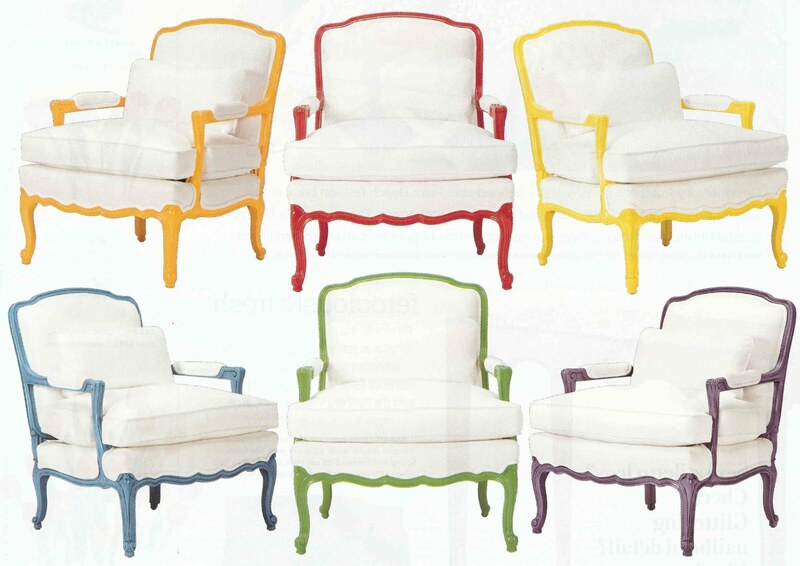 Desire to Decorate: What's your colour? Have you heard? 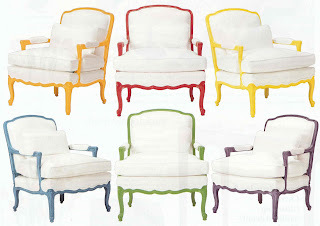 Barrymore Furniture will paint their chair frames any colour of Benjamin Moore paint you choose... very cool! That's exactly what I said when I saw this ad in last months Style at Home. What a great way to bring a little 'attitude' to a traditional piece. I also found Romo Fabrics through Cobi Ladner's (former editor of Canadian House & Home) website this week... and I got excited all over again (hence this post). 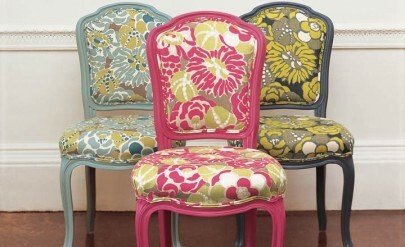 Aren't these chairs just gorgeous? Again, a little 'attitude' on a traditional piece. I love it! 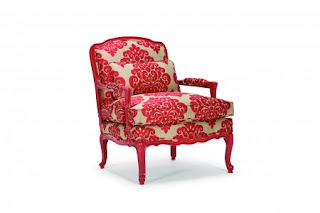 We have so many antique pieces around the house - hmmm. Now if only I can make B love it too.